Fabric for upholstery and drapery. We have a great range of carefully sourced fabrics for drapery, upholstery and any other interior decor essentials. 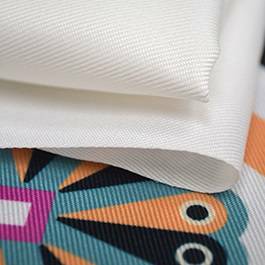 Our fabrics are high quality and suitable for domestic and commercial use. They were tested and graded according to strict Australian standards. 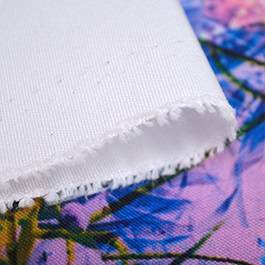 Plain weave medium weight fabric, perfect canvas for any type of fabric designs. 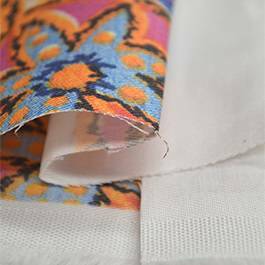 This fabric has off-white base tone and prints well with bright strong colours. 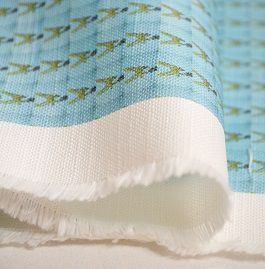 Can be used for curtains, cushions, outdoor and indoor displays, table cloths, jackets, wall tapestry. 147 cm printable width. Composition: 100% Polyester. Weight 159 GSM. Beautiful cotton linen blend fabric with a great soft linen texture. 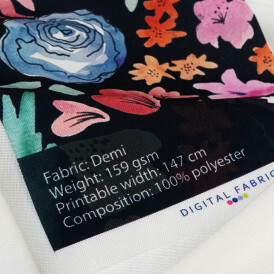 Bright white colour of the fabric ensures vibrant colours in print. About 250 GSM. 140 cm printable width. This fabric suitable for all craft projects, clothing, drapery, banners, cushion covers, tea towels, shoes, bags.